This brand NEW guide will take you step by step through the purchase process when buying a static caravan or lodge in the UK. As you are aware, buying a static caravan or lodge is a big purchase decision not to be taken lightly. 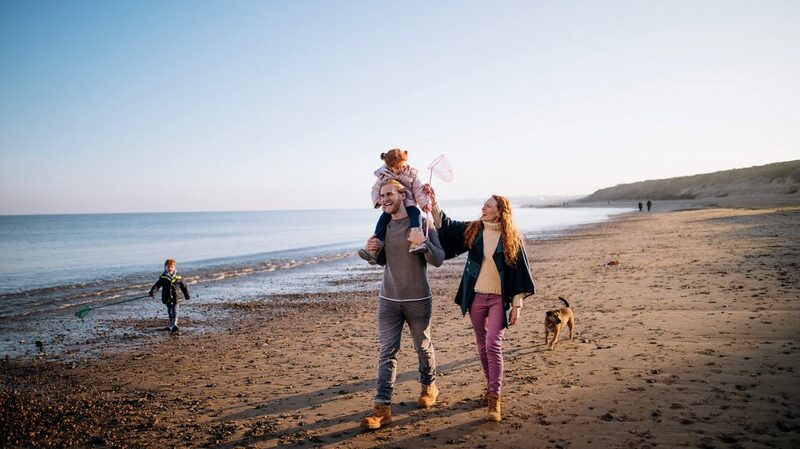 Buying a static caravan or lodge can have great benefits where the end goal will be to enhance you and your families lifestyle for many years to come. We have thoughtfully created this guide to offer you guidance in your journey into holiday home ownership so we hope you find it a great help. Which static caravan or lodge should you buy? This guide will offer you guidance when making this choice. This is usually the final piece of the puzzle. Choosing the ideal plot for your static caravan or lodge is important to ensure you have the right space and outlook. View, download and share Parklinks guide today! 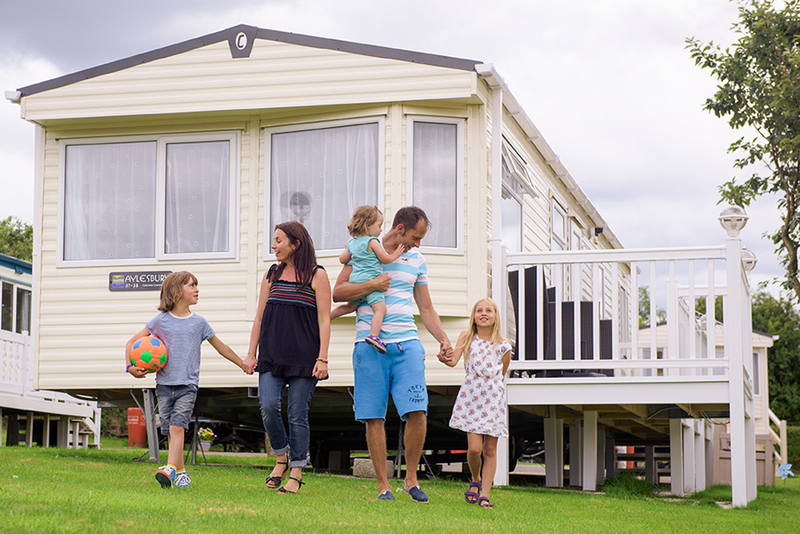 You are welcome to view, download or share this guide on buying a static caravan or lodge. Over time we will be constantly updating and improving this guide so feel free to contact us HERE if you have any suggestion or feedback on our first buyers guide. If you a thinking of buying a static caravan or lodge, this is a MUST read! The day has arrived when you have thought.. “I need to Sell my static caravan”. Like most people, this would have been the last thing you thought of when you first purchased. There are many things you now need to consider and a general process which you need to take. Each park has selling rules and park policy’s so we advise to always check with the park operator/owner to discuss their options. Here we will give you a general guide as to the usual steps to take. When you contact your holiday park office and tell them you want to “Sell my static caravan”, they will have a general process for you to adhere to and they may ask you to fill out a private sale agreement form. This is so they have a record that you would like to sell. It will usually not be a priority or obligation for the park to sell your caravan for you as can be assumed by many caravan owners. It is your asset so you will be expected to take responsibility just like selling your car. The park may be able to offer you useful selling advice and even take it on the books for you. Will the company buy my caravan back? You may be wondering “Can I Sell my static caravan back to the company you bought from? There is every possibility the park will buy your caravan back however it could be a lower prices than you expect. The offer they give you will depend on demand and will be close to a ‘trade valuation’. Please bear in mind that caravans and lodges are depreciating assets most of the time and rarely hold their value. The park is in business so will be hoping to buy from you at a good price so they are able to sell on and make a profit. How much should I Sell my static caravan for? As the owner of the static caravan, you would determine the final selling price. Your park operators may be able to give you some indication of the selling price as they are dealing with buyers and sellers daily. The selling price should be a fair price which is in line with other recently sold static caravans. How well are the static caravans selling on park and are there many empty plots available? How many years has your static caravan got left on pitch licence? This will be a big factor to the buyer. How much are similar models selling for? A private sale will usually sell for less than company models as they do not come with the same benefits i.e. extra warranty, consumer protection. The price you paid. How much did you pay and how long have you owned. A simple equation is to deduct £1000 per year for depreciation. Take all these factors in and come up with a price you think your static caravan will sell for. Can I put a sales notice up in my static caravan? Most parks are likely to have a policy where you are not able to put a ‘for sale’ sign up in your static caravan. This is for the good of the park. A park with too many ‘for sale’ signs does not look good to potential buyers. Check with your office as they may let you put one of their branded ‘for sale’ signs in the window as a compromise. Work with the park and together you should be able to achieve a private sale which suits all parties. How to prepare my static caravan to sell? Getting the ‘show-home’ look can be challenging especially if you are planning to continue to use your static caravan. Clear out as much clutter as you can and make the place as neutral as possible. Bear in mind that your tastes will not be the same as a potential buyers. Buyers need to imagine themselves being in, and owning your static caravan. Keep the place as clean as possible and welcoming at all times. When selling your caravan it is always best to open the curtains wide, letting in the natural light. Perhaps even open the windows as this will all help give your holiday home a welcoming natural ‘buy me’ vibe. Ensure the outside of your holiday home is clear and welcoming. There are many places you can advertise your static caravan for sale. Advertising portals such as Gumtree or Ebay are popular for people selling static caravans and lodges. There are many other classified websites where you can list also. We have many years of experience selling static caravans at all levels and have dealt with thousands of different buyers and sellers. We are able to help people at the right stages and we can advise you on the correct selling price and give you helpful selling advice. What can Parklink offer me? A page on the specialist Parklink website showing images, description, location and features. Social media advertising including Facebook, Instagram etc..
CLICK HERE to contact us at Parklink to see how we can help you today! We would love to help you get the best price for your static caravan in the quickest time possible. If you have advertised through Parklink, the chances are your people will be well informed and already a great match for your static caravan. It could be that they are viewing a few different static caravans so handle the viewing in a fluent business like manner. People are looking for a general overview. Just talk naturally and be yourselves! If they want to buy, they may tell you straight away or they may want to discuss privately. Under no circumstance should you pressure the buyer for a quick decision as this can be off putting for them. Ensure you leave on good terms and you have all contact details to follow up later on. Parklink will also be there as a 3rd party to ask them how they found and help you get the sale! What do I do when they say YES! Brilliant. You have a YES! The transaction has to go through the park office. Between you and the buyer, you will agree a date they will take possession of the holiday home. All funds must be paid the park office where the company will take anything you owe on your account as well as their park private sale commission (usually 15% + VAT). You will receive the rest into your personal bank account once processed. The park operators will ensure the buyers are fully aware of park rules and run through all the relevant paperwork. Once this is all complete and they have paid the balance, the last task is for you to remove all personal items from the static caravan ready for the new owners to move in. That’s it! You sit back and wait for the selling funds to go into your bank account and all finished. Selling with the help of Parklink you will not have to pay extra commission on sale on our standard arrangements. Comments or selling tips of your own? Here at Parklink we would be interested to hear any comments or suggestions you have about this article.